Dawn Patrick, Cherry Bekaert Partner introduces Caleb Harper, Principal Investigator and direction of the Open Agriculture Initiative at the MIT Media Lab who delivers the keynote speech. Tentree's Instagram post about planting trees has gone viral. But as with any celebrity’s carefully orchestrated photo, the reality is much more complicated. Adidas' collaboration with Donald Glover is just its latest attempt to define culture. Also on deck? Beyoncé. The most radical talk at TED 2019 wasn't about a miracle cure or a moon shot. It was about a balloon that popped. Malek's next gig, the Avengers are coming for all the money, Captain America does VR, and more. The ambitious device gets an iFixit teardown, revealing what might turn out to be systematic problems. This year’s theme builds upon TAG’s public awareness campaign to promote Georgia’s technology industry through an emphasis on the fastest-growing tech clusters in the state, including health IT, information security, financial technology, logistics and communication services. 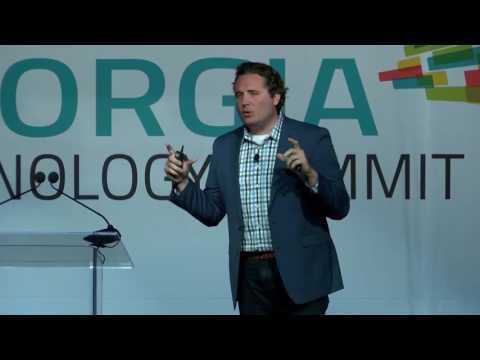 To learn more about the annual TAG Georgia Technology Summit (GTS), including the Top 40/Top10 most Innovative companies in Georgia awards, the State of the Industry report, the PWC Technology Hall of Fame inductee, plus special keynote and guest speakers, click here. Stay tuned to TAG TV for the next annual event!